Jeremy Burns directs the Adirondack program of the Student Conservation Association. Maybe as you’ve hiked an Adirondack trail you’ve come across a trail crew of the Student Conservation Association and wondered about these young people doing the heavy lifting that makes your hike accessible and enjoyable: placing boulders for steps, digging water bars to keep the path from washing out, building log-and-stone cribs to hold a bridge of massive spruce stringers. Why are they doing this for five and ten days at a stretch, sometimes for twelve hours in a day? Well, it’s not for money. These are volunteers. A token stipend and some help with college bills through the AmeriCorps national service program is their compensation. That and all the camp food they can pack in and cook. But if, once you took in what they were up to, you said, “Thank you,” you should know that meant a lot. And even if you never met the work crew but sometime later stepped up their path or walked over their bridge you are a big part of their reward. 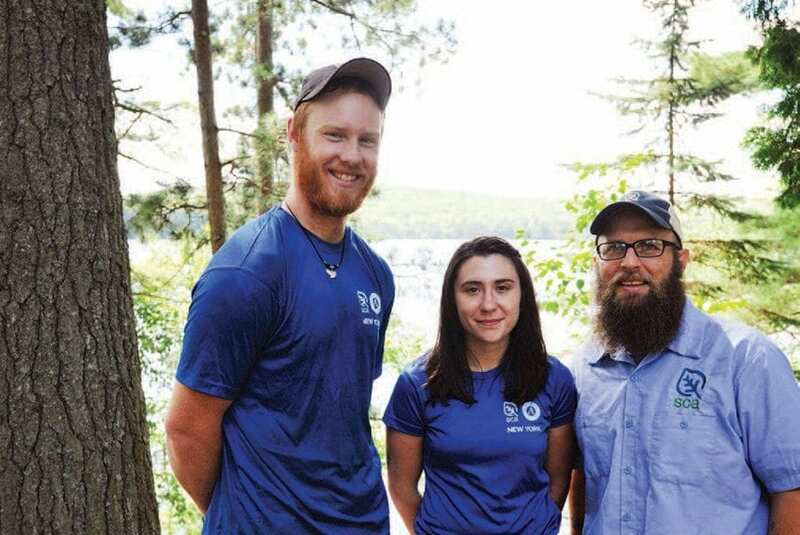 Part of a national organization that sends three thousand workers into the field each year, the Adirondack SCA has eighteen members who work nine hundred hours each from May through October. Evenly divided between men and women, the members break into three work crews that head out on five-day or ten-day hitches. In the short breaks between hitches, they return to home base at the state Department of Environmental Conservation’s William C. Whitney Wilderness headquarters on Little Tupper Lake. Along with physically demanding work, the summer tests their team-building and communal-living skills. Camp life means laboring together and tenting side by side, sharing cooking and cleaning chores while enduring bugs and whatever the weather throws at them. Living quarters at Little Tupper are no less chummy. Eighteen members share two small residential buildings. But at least there are showers there. Little Tupper Lake is home base for Jared Hinken, Kadie Mercier, and Burns. “It kind of feels like college all over again,” said Jared Hinken, a twenty-four-year-old from Michigan. Don’t underestimate the physical demands. Crews carry in everything they need, including mechanical contraptions that help them move boulders or two-thousand-pound logs. With gear, clothing, and food, a worker may carry as much as seventy pounds on the way in to a work site. No power equipment is allowed in Wilderness Areas so trees must be felled with two-person crosscut saws, not chainsaws. Like most of the members, Jared and Kadie have graduated from college with a strong interest in conservation work and a desire to be out in nature instead of in an office. They describe a summer that strengthens them spiritually as well as physically. Nature provides its own restoratives. The summer’s work gives them firsthand experience, connections through the SCA network, and experience on the resume that highlights service to the community as well as valuable work skills. The SCA’s mission, says Burns, is to develop “conservation leaders,” and each member is given leadership responsibility for a crew at some time during the season. 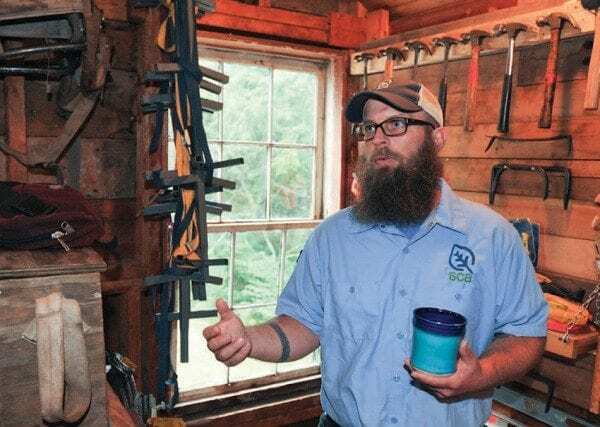 Burns has led this program for two years but has worked in trail maintenance for eighteen years, including a number of years working with incarcerated youth. The program, with the great draw of its Adirondack setting, is clearly attractive to many. Burns says he receives hundreds of applications annually for the eighteen slots. For some, the motivation is to help people, and the summer can set a direction for life.